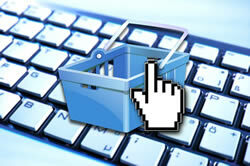 These days online shopping is becoming more of an advantage for doing business on a local or even global scale. It is estimated that 30% of all web sites are used as a means of trading, rather than just as an advertising medium. Of these sites however, only 10% are fully 'commerce enabled'. We have developed a range of solutions which allow us to meet the eCommerce solution needs for many businesses whether it be for one or 10,000 products. Don't be afraid that eCommerce is too expensive, we have solutions that will get even the smallest online traders up and running. Whether it be using PayPal, a credit card payment gateway such as PayStation or your own manual/offline payment system such as online banking we've got you covered! SSL Certificates encrypt and secure your ecommerce website giving your customers peace of mind.